Today has been extremely busy for me, so did not get the chance to take any nice food photo. But this challenge is not only about taking a photograph, also about being disciplined enough to share the photo across social media. So with this roast chicken photo, I am sticking to the second half of the challenge. 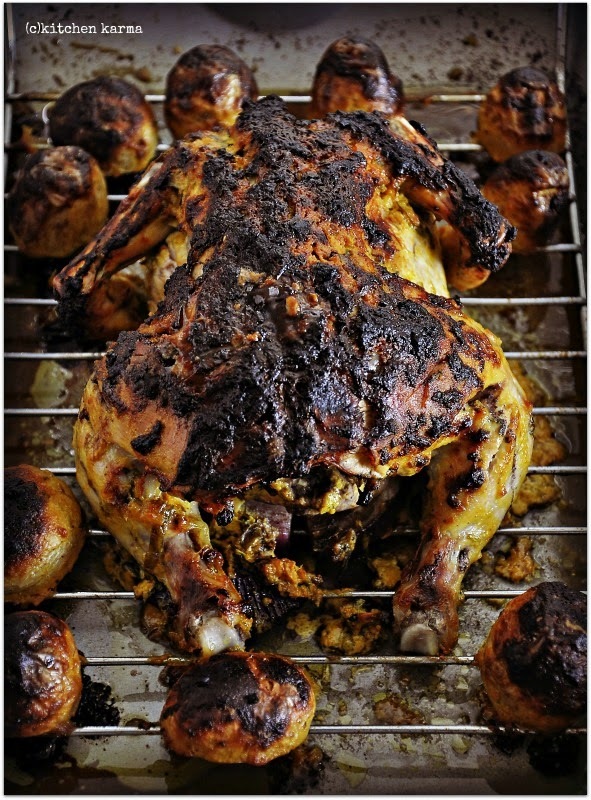 This roast, I called Christmas Indian Inspired Chicken Roast is really easy to make, with just a handful of spices, some fragnant herbs and some yogurt. But it tastes awesome and will make any meal a special one. In case you are tempted to try it you can find the recipe here. Gourmandize UK published this recipe as part of their Christmas countdown recipes. Doesn't matter that you did not have time to click a better photo. Even this photo looks so amazing. Wonderfully prepared chicken. Bella realizaciòn luce muy rico y muy dorado me encanta,abrazos.